Hotels.com last week released its seventh annual Chinese International Travel Monitor, based on results of a May 2018 Ipsos survey of 3,047 residents of China aged 18-58 who had traveled overseas in the preceding 12 months. The research report documents the impact on global travel and tourism of outbound travelers from mainland China. Overall average number of trips was 3.9. Average trip length was 8-9 days, up by 1-2 days from 2016. 58% of trips were taken off-peak. Bleisure trips were popular - 80% said they would stay an extra 4 days after a business trip. USA and Germany were top bleisure destinations. Value for money was an important consideration. 56% would like to stay in atypical accommodations (treehouse etc.) or go glamping. That's a very thorough survey and report. 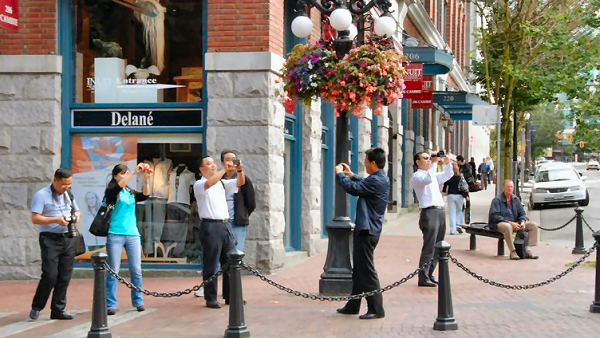 What are the most important implications for Western tourism destinations and businesses? Film and TV are top sources of travel inspiration. If anybody is shooting video around your location, get into it any way you can. Even if it's not as feature film or a hit TV show, getting the video on YouTube and publicizing it should help. Safety is important to the Chinese. Stress safety in your communications. Use photos that make your location look safe and attractive for all kinds of people. If you're at or near a popular business destination, promote extending business trips for leisure - bring the wife, husband, children and stay a few more days having fun. Make sure you're bookable online via mobile devices. USA dropped 3 places in country preference from 2017 to 2018, likely because of US-China trade tensions, and Canada may have gained share as a result. Good for Canada, bad for USA. Americans: go all-out in providing the things that make the Chinese feel most welcome. Hotels: as a minimum, add some Mandarin signage. Don't put Chinese guests in rooms at ends of corridors or on 4th or 7th floor. Have some rooms with no mirror beside bed. Create some co-working common areas. Retailers and everyone: enable at least on payment method favored by the Chinese. And be sure to see also the Related Listings, below, for more on the Chinese market.